about 2 weeks ago, I got the opportunity to shoot a whiteroom session for azri & haida, along with other team members (mukhriz latif, mohd ming, shah fariz, and syimir izzaffy). udey ismail was not around due for some work that need to be done. anyway, they are both a happening and fun couple to work with, and soon will get married, probably on march. i only able to show you a few pictures taken as it is just a short session. 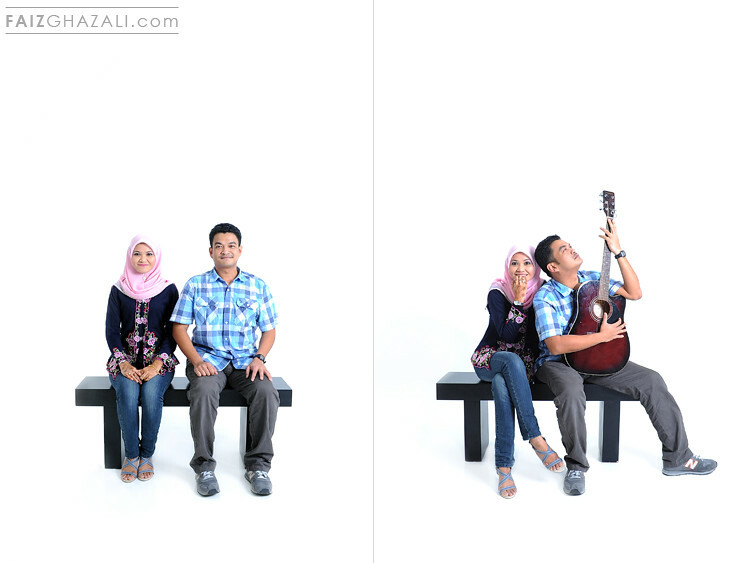 to azri & haida, i would congratulate you both in advance and hope to see you soon.